Renew360 is a non-invasive laser procedure that brings about total rejuvenation of the skin from the inside-out with 4 distinctive laser modes – brought by dual laser Twinlight® technology. 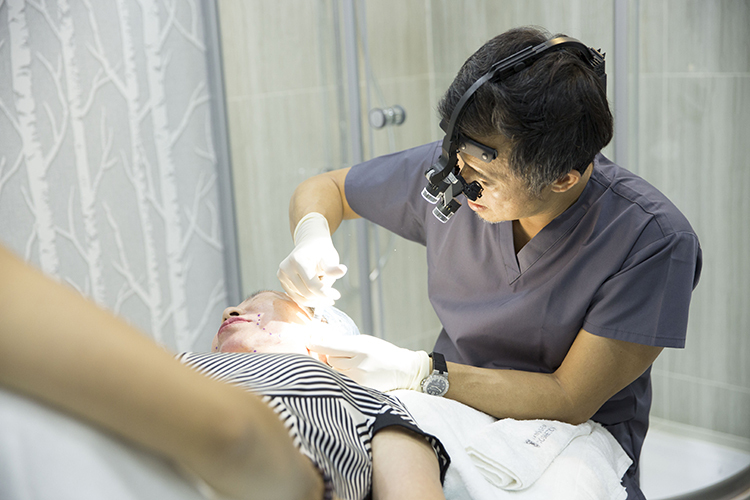 The treatment focuses on skin’s imperfections namely pores, unevenness, mild skin aging, dull-looking skin. Renew360 is a perfect induction to the world of non-surgical beauty procedures for beginner. By merging two types of lasers on one single device, Renew360 creates collagen renewal on a different layers of the skin, starting from the inner mouth mucosa and out. For beginners in non-surgical beauty procedures troubled with aging, wrinkle, uneven skin tone, pores. Renew360 is safe for every skin types. Get ready for a complete renewed, refreshed and polished look. From within, the skin is triggered to send a constant flow of collagen, maintaining the youthful look. 4 steps of specialized treatment: lift from within your mouth mucosa, remove deep imperections, enhance collagen synthesis and polish the skin surface.